Apple offers a ton of great apps with select versions of their hardware. Photo Booth is an excellent example of this, making a really useful addition to the built-in Webcam in Mac hardware. For Windows users, an app called YouCam offers many of the cool features of Photo Booth and goes beyond with many cool features you can’t get from Photo Booth. 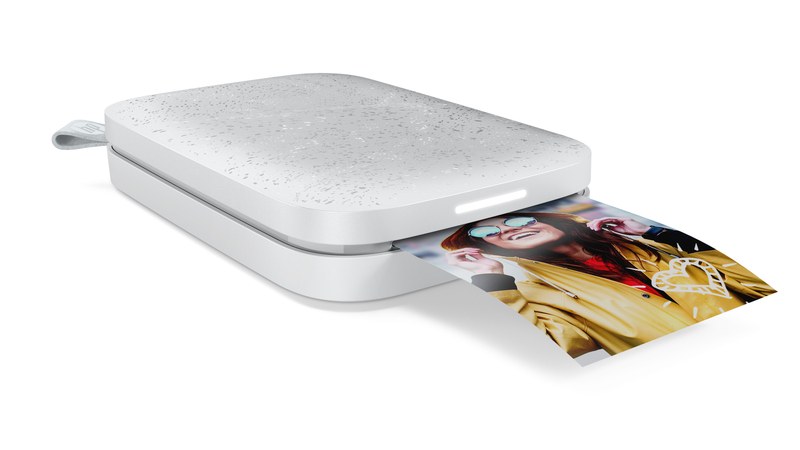 Like Photo Booth you can record images with YouCam either a single image at a time or in bursts. You can also record video this way. There are a number of fun effects you can apply to photos and videos. YouCam offers an upload to YouTube button, so you can go straight from recording a silly movie to embarrassing yourself in front of millions of people in a few short clicks. Emailing and printing are also part of the app. YouCam integrates with your favorite video chat apps from AOL, MSN, and Yahoo to enhance video with animations, on screen drawing, and creative graphics. One of the coolest things about YouCam is being able to extend it with additional downloads for more fun making personalized greeting cards or simply having fun with online video chat. You can also share PowerPoint presentations via YouCam, making it easy to talk through a slide while someone watches on the other end. Two versions of YouCam are available: one for $19.95 and one for $34.95. 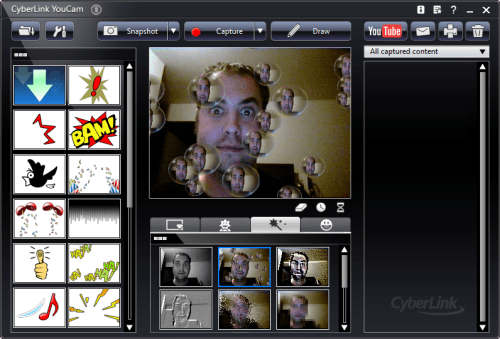 Most of the features you’d want to simulate Photo Booth are available in the $19.95 version.